Passengers who make connections at Boryspil airport please note the following. 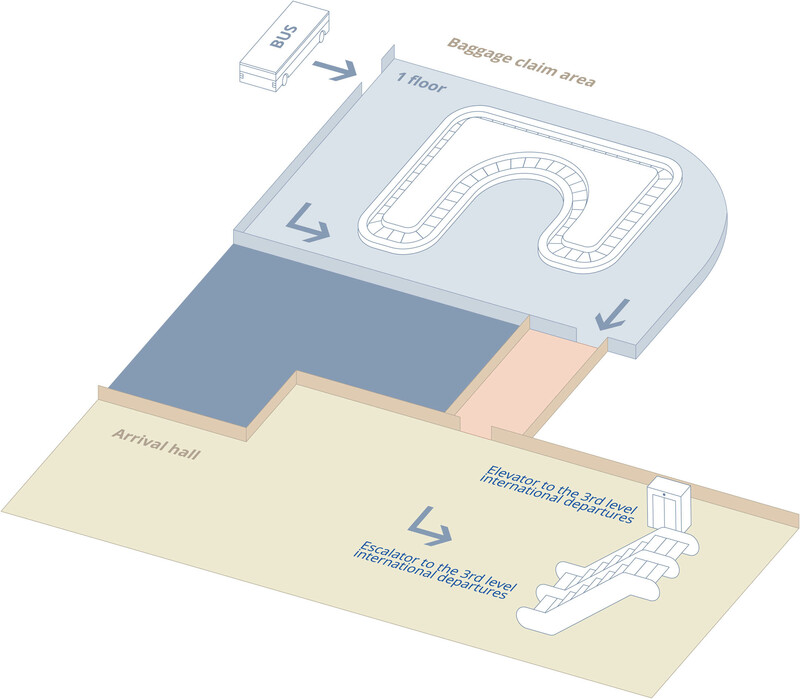 If you arrive at Boryspil airport on an international flight and proceed to the international departure you go through aviation security control at the second level of terminal D and proceed to the third level directly to the gate. If you do not have your connecting boarding pass, please go to the Transfer desk located at the second level of terminal D. Our friendly staff will issue a boarding pass for your onward flight. If you arrive at Boryspil airport by international flight and proceed to the domestic departure you don’t have to claim your baggage. 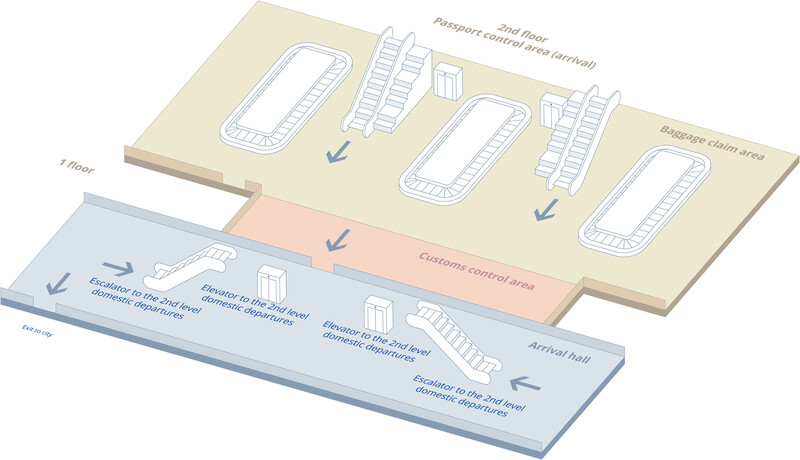 After you pass through immigration control you should proceed through Arrival Hall and customs control area to escalator, then go up to the second level to the domestic area for check-in (if needed) and aviation security control. If you have items to be declared in your baggage you should claim it. In that case during the check-in at the airport of departure please, notify in advance to check-in your baggage only to Boryspil airport. If baggage was checked-in to final destination notify hostess at the International Arrival Hall that you need to claim your baggage. Upon arrival at Boryspil airport Terminal D go through passport control and proceed through Arrival Hall and customs control area to escalator, then go up to the second level to the Domestics Area to check-in (if needed). Please clear security control and proceed to your gate. Please note! If baggage was checked-in to final destination notify a hostess at the International Arrival Hall that you need to claim your baggage. Please clear security and passport controls before you continue your journey.